Attention!!!! All Sound School students!! Next week is National FFA Week! So throughout the week of February 25th through March 1st, the week we return from break, the Sound School Student Council, in partnership with the SS FFA Leadership Group, will be organizing our annual National FFA week and Sound Spirit Celebration! 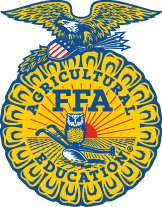 Every single Sound School student is an FFA member! During this week of celebration and fun you will not only learn more about the workshops, Career Development Events and leadership opportunities FFA offers each one of you, but you will also have an opportunity to express and share with friends and teachers, your awesome school spirit! Posters will be going up describing the theme days, raffles, and ways your class can win a pizza or ice cream party. Check your emails, the announcements, and don’t forget to visit our Sound School Facebook page for more details coming up!! Wednesday, February 13, 2019, 2-hr Delay: A-B-C-D; No G Period. THERE WILL BE A MEETING FOR THE NEW MEMBERS OF THE NATIONAL SPANISH HONOR SOCIETY AND ITS OFFICERS TOMORROW DURING G PERIOD IN ANDERSON 606. ALL NEW MEMBERS SHOULD ATTEND IF NOT IN THEIR DOUBLES. Any diver who signed up for TODAY’S training dive at the Hillhouse Pool should meet in the library right after school to help load equipment. See Pete to sign up if you haven’t already. There will be an informational meeting for any divers and parent/guardians who are interested in learning more about next Fall’s dive trip to Bonaire TODAY at 530pm in the library. Deposits for the trip are due Mar 1st so make sure you come to the meeting of see Pete to get all the necessary information. You don’t want to miss out on this opportunity! A reminder that Paula will be working on the mural in the Foote Foyer on Thursday afternoons. Students interested should meet Paula in 761 after school TOMORROW if interested. Permission slips are ready for a day of community service on Tues of vacation week. Please see Paula if you are interested ASAP. The New Haven Yacht club in Morris Cove, near Lighthouse Park is looking to hire launch attendants for the upcoming season. You must be 16 years old and have your CT safe boating certificate. Please see Paula if you are interested. This week the After School Program will be running out of Megan’s room in the Thomas building TODAY & TOMORROW. 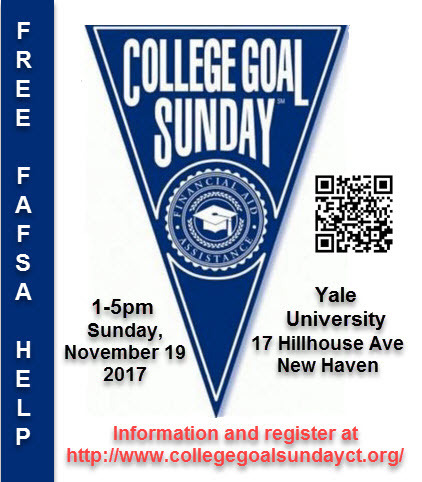 TODAY will have a health education workshop led by Community Health Educators from Yale, and TOMORROW will have a math enrichment workshop with Mr. Padro. As always, homework and project help will be provided by student tutors and teachers each day as well. Students that attend the program regularly will be eligible to attend an upcoming field trip to City Climb – an indoor rock-climbing gym. Our fourth annual Shake it Up! Day where students and teachers are able to participate in fun enrichment activities that fall outside of our regular classes will be coming in April. If you have a skill you’d like to teach your peers, if you would like to share an aspect of your culture, or if you have a hobby you’d like to display, you can submit a proposal to run a Shake it Up! Day workshop. Workshops should have an enrichment focus area such as art, history, culture, or volunteer work. See the orange information sheets posted around campus for how to submit your Shake it Up! Day workshop proposal. See Megan in Thomas 416 if you have any questions.